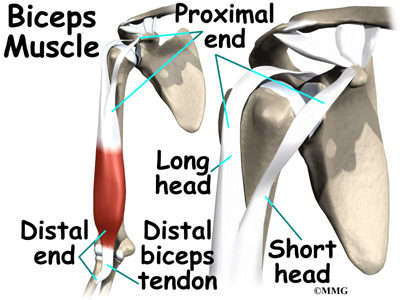 The main proximal tendon is the long head of the biceps. 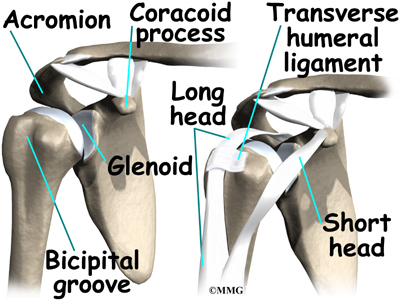 It connects the biceps muscle to the top of the shoulder socket, theglenoid. 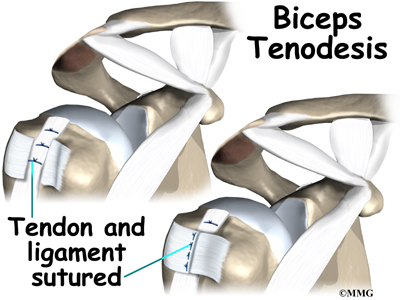 Beginning at the glenoid, the tendon of the long head of the biceps travels down the front of the upper arm. 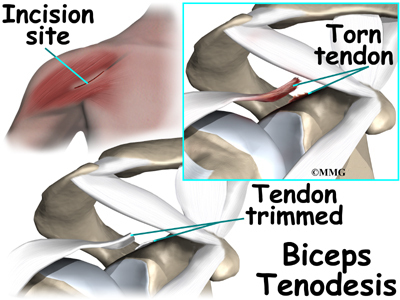 The tendon runs within thebicipital groove and is held in place by the transverse humeral ligament. 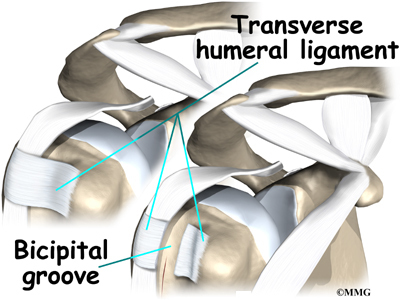 Nonsurgical measures could include a sling to rest the shoulder. 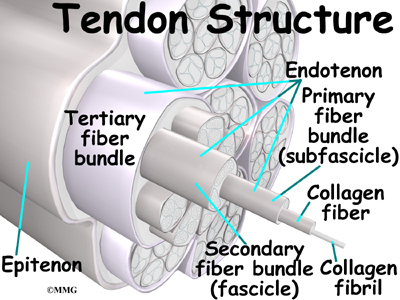 Patients may be given anti-inflammatory medicine to help ease pain and swelling and to help return people to activity sooner after a biceps tendon rupture. 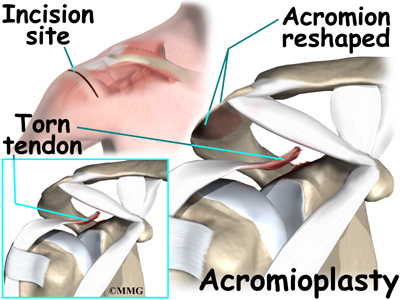 Acromioplasty involves cutting and reshaping the acromion, the bone that forms the top part of the shoulder. 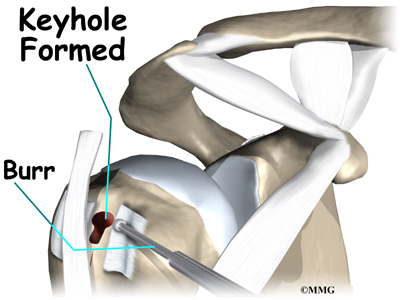 Some surgeons will also sever thecorocohumeral ligament, which arches over the top of the shoulder joint. 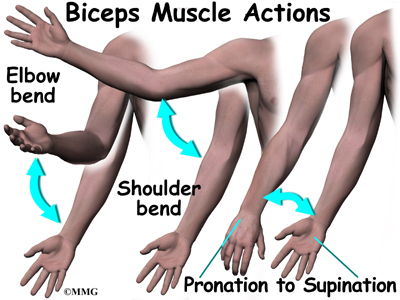 These steps relieve pressure on the tissues between the ball of the humerus and the acromion, including the biceps and rotator cuff tendons. 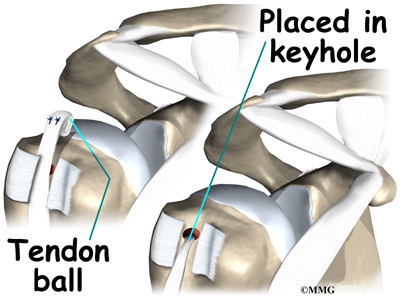 For this reason, this procedure is sometimes called subacromial decompression. 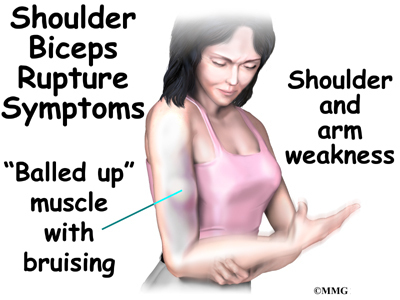 The ruptured end of the biceps is then anchored to the upper end of the humerus. 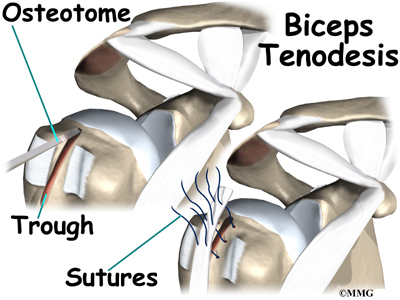 This is called direct tenodesis. 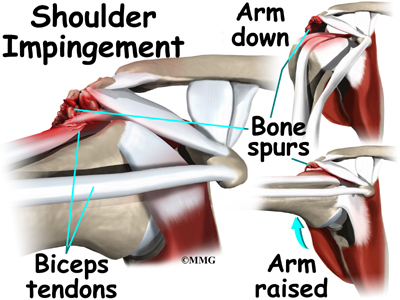 Stop the pain and get your Shoulder checked.